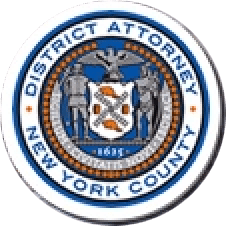 Manhattan District Attorney Cyrus R. Vance, Jr., today announced the sentencing of CHRISTOPHER MYLES, 46, a former bookkeeper, to 3-to-9 years in state prison for stealing approximately $1.3 million from his previous employer, Central Park Realty Holding Corp., and several of its affiliate companies. On May 26, 2016, the defendant pleaded guilty in New York State Supreme Court to Grand Larceny in the First Degree, Criminal Tax Fraud in the Second, Third, and Fourth Degrees, and Offering a False Instrument for Filing in the First Degree. As part of the plea, the court executed a judgment order, holding MYLES liable to repay more than $1.13 million. As admitted in the defendant’s guilty plea, from December 2002 to November 2013, MYLES was employed as a bookkeeper for the Manhattan-based Central Park Realty Holding Corp. and several of its affiliated companies, including Walton Estates Inc., Rebaco Realty Holding Company N.V., Pegasus Realty Management LLC, and Lomar Inc. In this role, MYLES oversaw the finances related to Manhattan properties held by these companies and reported directly to the President of Central Park Realty Holding Corp. In May 2010, the President of the company suffered a stroke and remained in a comatose-like state until her death in February 2012. Beginning in September 2011, MYLES began using her credit cards to pay for his own personal expenses. In January 2012, MYLES siphoned funds from her personal bank account in order to pay for more of his personal expenses, as well as his mother’s expenses. Once that bank account was depleted, MYLES transferred money from several business accounts that he managed into the victim’s personal account, before subsequently transferring it into his own personal accounts. On several other occasions, he transferred money directly from the business accounts into his personal accounts and accounts belonging to his mother. To cover this fraud, MYLES provided the family of the victim with falsified bank statements that disguised these unauthorized transfers as business expenses. In November 2013, MYLES resigned. Within weeks, his successor discovered fraudulent invoices created by MYLES which disguised large money transfers, and reported them to company management. A detailed audit was conducted and MYLES’ theft was uncovered. In addition to concealing the diversion of the money from the businesses and the family of the victim, MYLES also failed to report the diverted funds as income on his tax returns in 2011, 2012, and 2013. Assistant District Attorney Lisa Zito handled the prosecution of the case, under the supervision of Assistant District Attorney Archana Rao, Principal Deputy Chief of the Financial Frauds Bureau, Assistant District Attorney Michael Sachs, Chief of the Financial Frauds Bureau, and Executive Assistant District Attorney David Szuchman, Chief of the Investigation Division. Former Paralegal Ellen Choi, Financial Investigator Brian Crowe, and Senior Rackets Investigators Jose Vasquez, Patrick Ludlow, and Rackets Investigator William Burmesiter provided additional assistance with the case. District Attorney Vance thanked the New York State Department of Taxation & Finance, and the members of the Amherst Police Department, including Lieutenant Lucey and Officers Edwards and Preston, for their assistance with the case.